This year, NSC has selected the theme What I Life For in an effort to highlight the everyday dangers and risks that workers and the general public tend to overlook. While NSC is encouraging workers and the general public to share their stories (that answer the question “What I life for”), the organization has also provided various resources (including posters, fact sheets, etc.) on its website to help workers, employers and others promote and support this campaign. About 74 times more likely to be killed while crossing the street than being stung by a bee or wasp. Don’t share prescription drugs and/or take more than is necessary/has been prescribed. When driving, don’t speed, don’t use your cellphone and avoid distractions. To reduce the risk of slip and falls, clean up spills ASAP, tuck away cords and install handrails/no-slip mats where appropriate. 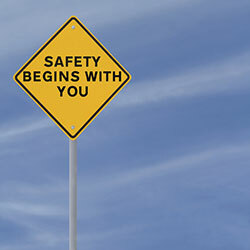 Will you be doing anything to support National Safety Month? Share your plans with us on Facebook & Google+. Have you been injured in a workplace accident or been diagnosed with an occupational illness? If so, Denver Workers Comp Attorney Jennifer Bisset wants you to know that she is here for you, ready to aggressively advocate your rights and help you obtain the benefits you need and deserve. To contact Denver Workers Comp Attorney Jennifer Bisset and receive a professional evaluation of your case, call (303) 894-8900. You can also email our firm using the contact form on the right side of this page.